I entered the blogosphere in 2009. I started a dog blog because I wrote a dog book, Am I Boring My Dog? And 99 Other Things Every Dog Wishes You Knew (Alpha/Penguin 2009), and figured blogging was a good way to let people know about it. 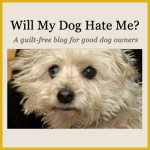 It would have been a lot smarter for me to give my blog and my book the same name, for a variety of reasons, including the alphabetical one: AmIBoringMyDog.com would have turned up much higher on the blog rolls than Will My Dog Hate Me. No matter. The blog took on a life of its own. Here’s the trailer for the book; you can see why my dog, Frankie, needed a break-out venue. Pet blogging turned out to be a wonderful experience. I met a lot of smart, seemingly sane people who are as dog besotted as I am. I was also forced to focus my thoughts on a regular basis, to learn what works for an audience and what doesn’t. I took a year off to start a new blog—more on which in a minute—but then Frankie started failing, and I thought it only fair to write about that experience too. Frankie was not the type of dog to fade out quietly. I gave him a big, splashy sendoff and then started a memorial fund in his name. It was a huge success–and a nice distraction. 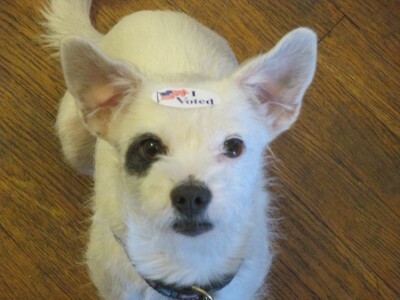 But after a while, when the fundraising was over, I stopped blogging at Will My Dog Hate Me. I was too sad. And in the meantime I had that new blog to tend to. In 2011, I discovered that the butcher shop of my maternal great uncle had become an art gallery in the Sigmund Freud Museum in Vienna. 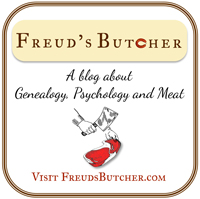 This spurred my decision to start Freud’s Butcher, which explores my mother’s family history as it connects with the history of the era. Because that era included the Holocaust, a lot of the stories ended badly, of course, but not all do. 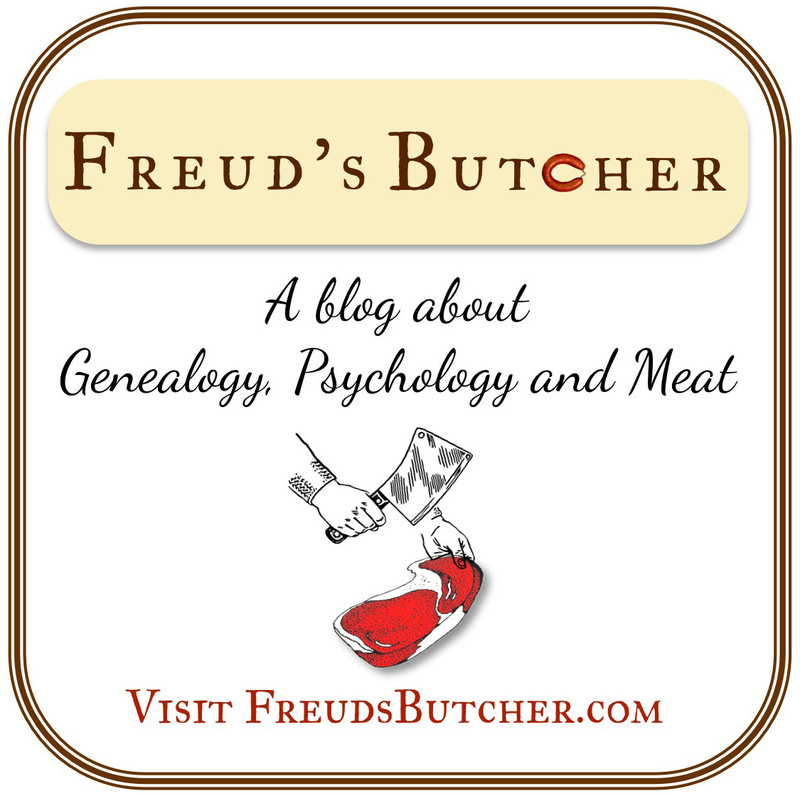 There are also posts about deli, pastry, and chocolate, about popular culture… even about Freud’s dogs. I intended to write a book about the family history, and at some point I’m sure I will. 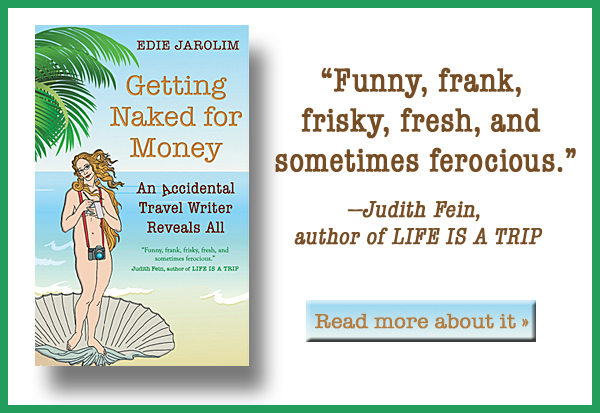 But all this time, even before my dog book, I had another book on the back burner, a memoir about my life as an accidental travel editor and writer. And now that’s finally going to happen–which is why I began blogging here. In the meantime, I adopted Madeleine. She will never replace Frankie, but she’s not intended to. She has wiggled her way into my heart, where there’s plenty of room for her own unique personality. She’ll get her own book, though she would prefer it to be edible.